If you love the retail industry and are interested in progressing your career, you may want to become a store manager. Store managers are highly paid business and management professionals that usually have an education and experience within their field. Store managers need to be able to juggle many tasks at once. A store manager is responsible for all of the day-to-day workings of the store they manage. This includes ensuring an accurate inventory account, employees, sales, promotions and any corporate reporting that is required. The store manager usually has an assistant manager or multiple assistant managers they delegate tasks to. Store managers usually work under either a store owner or a district manager depending on how large the chain they work for is. Store managers need to be able to juggle many tasks at once. Anything that occurs will need to be managed by the store manage, which includes any complaints that customers might have and any issues with the store such as repairs. Store managers will usually have over five years of experience within the retail industry. They may need to train other management professionals and they will need to be very familiar with their store’s technology and point of sale systems. What Does a Store Manager Do? 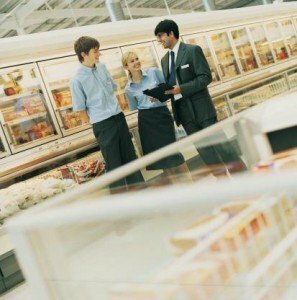 The store manager will usually need to interface directly with their assistant managers and their supervisors. The main goal of a store manager is to increase the overall revenue of the store through comprehensive management tactics, such as creating sales, stocking seasonal items and increasing overall employee efficiency. Store managers may need to interview new hires and train employees, and they may need to juggle human resources issues. Store managers have significant opportunities for promotion and they have mobility within their field. Store managers are desired in many industries, and those that are interested in retail can focus on the retail solutions that interest them. Store managers usually work relatively long hours, but will be rewarded with high rates of pay, flexibility and benefits. How Do You Become a Store Manager? Store managers usually have at least an Associate’s Degree related to business. The position of store manager, especially in certain stores, can be highly sought after. Having a Bachelor’s Degree in Business will usually help someone who is interested in obtaining a position. Those that are interested in becoming a store manager should acquire experience in the field, and ideally within the store they would like to become a manager in. Most store managers will begin their career path as a sales representative, and later as an assistant manager. Doing well in these careers will increase the likelihood of an individual being promoted as a store manager. Store managers can also come from related fields in management. The Bureau of Labor Statistics lists some of these related fields administrative services managers, food service managers and lodging managers. How Do You Advance as a Store Manager? Store managers that work for national chains can become district managers, general managers or operations managers. O*Net Online reports that this field grows more slowly than average but is fairly lucrative. To advance as a store manager, an individual will usually need to have at least a Bachelor’s Degree in business management or a related field. Promotions as store manager are usually based on the successful management of a business, the ability to deal with clients and employees well, the capacity to steadily increase revenue and overall experience within the industry. Store managers need to be dedicated and consistent if they are interested in growing their career. Many store managers need to work above and beyond a standard 40 hour work week.